I used to think I was healthy because I was skinny. My whole family is pretty slim. (Unless we countin’ Nugget’s fat rolls but he’s a baby and that’s aaall breastmilk.) 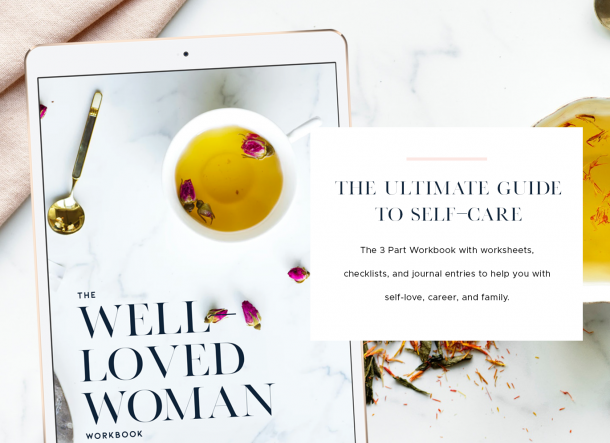 I didn’t realize until I started noticing the small things – dry hair, breakouts + taking way too long to bounce back from colds – that I really started to wonder if I was as healthy as I thought I was. That was a few years before I ever had children and I played around with my health for a while still; until a doctor told me that I may never have any children. That slapped me right awake. I was running the streets, eating on the go and completely carefree but I put the brakes on that lifestyle and started taking baby steps to better health. How many little aches and pains do we feel that we cover up with a pill or a herb? A bunch! It’s so easy to ignore the small things, but those small things almost always point back to much bigger underlying issues. We take for granted that things like too much acid or too much estrogen in our blood can lead us to pain, sickness or worse. It’s always best to prevent pain; but since most of us were raised on the modern American diet, chances are good that you’re feeling some pain somewhere. Much of that pain has to do with toxic (including estrogen) overload that we get from sources like plastic water bottles and food containers, processed foods, household cleaners and getting sprayed on all day by those planes that write names in the sky. Gratefully, our bodies were made to overcome all that junk if we nourish them right. I know that jumping into these crunchy “green” waters is a process and errbody ain’t able. 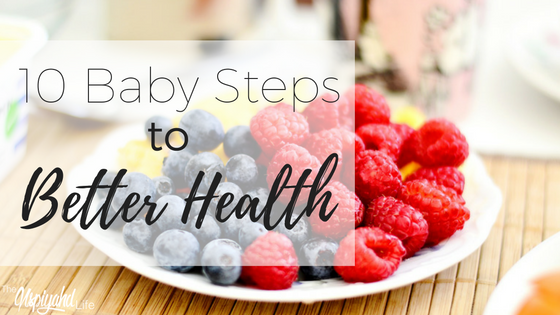 So here’s 10 baby steps to better health that got me started getting my life right with the Lord and my body (cuz I’m sure He didn’t “buy me with a price” so I could be living that 5-piece-spicy-with-a-strawberry-drink life). Our skin is our largest organ and the fastest route to the bloodstream. Keep it supple and healthy by only moisturizing with oils and butters free from harmful chemicals. 2. Get outside at least 2 hours a week. Turn the TV off twice a week for one hour and get outside. Our lymph systems need movement in order to drain toxins out of our cells. Get out into the garden, take a brisk walk, or get into a fun game. I talked about this briefly on Periscope. Make an investment in some good quality glass bottles. Plastic water bottles leach all kinds of toxic chemicals like BPA, BPS, + more into the water inside. If you’re lucky enough to live near mountains or running streams – I’m mad at you if you’re not gathering that good water!! For the rest of us who can only access clean water in plastic bottles; transfer to glass as quickly as you can after purchase. 4. Cook your veggies until crunchy, not soft. I know we were raised on super soft veggies and sometimes that’s the only way kids or hubz will eat them – they’ll get over it. It’s for their best health and they’ll thank you later. Jazz up crunchy veggies and get them used to the texture with delicious dipping sauces and glazes. 5. Get some good rest. I follow all the “grind-til’-you-drop” Instagrammers too. Can’t ya tell? Tht’s all well and good until you drop dead! Look, grinding is a wonderful thing, it builds strength and tenacity. But you’re not built to grind without ceasing. You’re built to work 6 days and rest 1. If you must go hard, and we must, make the time to get adequate rest a priority. 6. Eliminate white foods from your eating plan. Yes, that means white bread, white sugar, white flour, and all other wiggity white foods. I dont think this one needs a “why”. 7. Put down the purified water! Bruh, that’s water out the tap with added minerals. Flouride all up and through that. Grab the artesian or spring water instead. Alkalize your own water and skip the ridiculous price tags by adding leafy green veggies, lemons, or cucumbers to infuse. 8. Switch your soda for Kombucha. There’s debate in the naturopath community re: Kombucha. It’s a fermented tea drink that’s naturally super fizzy like soda. You can find it flavored (usually organic) and it’s packed with probiotics. I like it. I’m sure it’s not thee best thing but it’s a great option when I’m craving some fizz. It also has the added benefits of helping balance your gut flora and giving a natural energy boost. 9. Purchase the Dirty Dozen organic. Buying all organic produce is not a realistic option for many Americans, neither is growing their own food. The Environmental Working Group did a study on the crops most affected by pesticides and put out a list to make shopping for organic easier. Do your best to buy organic when purchasing these 12 fruits and veggies and you’ll minimize your exposure to harmful pesticides by leaps. Take a second every hour and pay attention to your breathing. All our cells are nourished by fresh, clean oxygen. It’s easy to spend our days taking faint, shallow, or hurried breaths that lead to burnn out and fatigue. You know how we tell angry folks to take a deep breath and count to 10? It works the same way when you;re stressed, frazzled or anxious. Take a minute and breathe. What baby steps will you take to make you health and your life better? Share in the comments below!